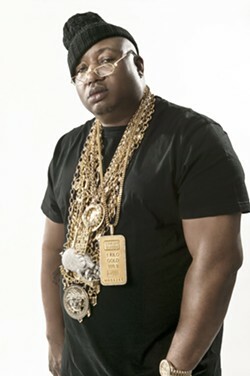 Ineffable Live and Mateel Community Center present rapper E-40. With 27 albums to his credit and millions of records sold, rapper E-40 brings his streetwise lyrical storytelling tinged with humor to Humboldt for an all-ages show with Nef the Pharaoh & OMB Peezy as the support acts. Doors at 8pm.